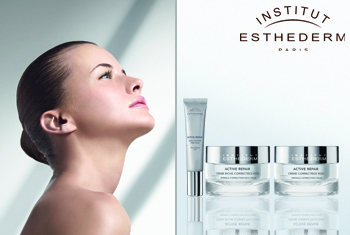 Experience triple correction skincare with the Institut Esthederm Active Repair range, a high performance response to wrinkles, radiance and skin texture. The Active Repair range offers high recovery for tired skin, reducing the depths of fine lines and wrinkles while reinforcing the skin’s support architecture. Restructuring and regenerating, the repairing range offers wrinkle prevention and correction for complete targeted anti-ageing skincare.